Happy fall, y’all! Along with boots and sweater weather come all our favourite seasonal treats. It’s one of my favourite times of year. I love that recipes turn from light and fresh to rich and spicy. Plus, there are so many excuses to entertain in the fall thanks to Halloween and Thanksgiving (and beyond!). 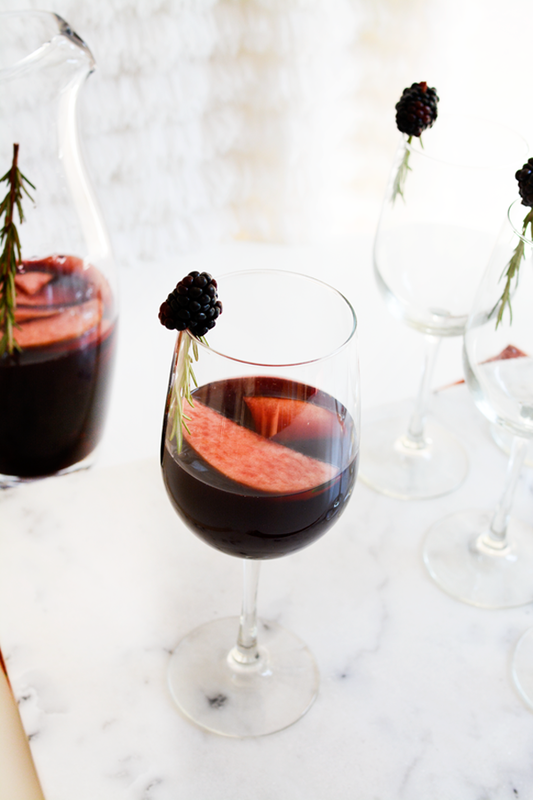 This blackberry and apple red wine sangria recipe is sure to be your signature cocktail for all of your parties. It’s super simple to make, and the flavors are basically fall in a glass. My kids and I have recently become obsessed with Honeycrisp apples. I basically have to take a loan out to buy them (currently they are $3.99 a pound!). But they are the only apples we like. And when I found out that there is a Honeycrisp apple juice sold at the market, that became a staple too. 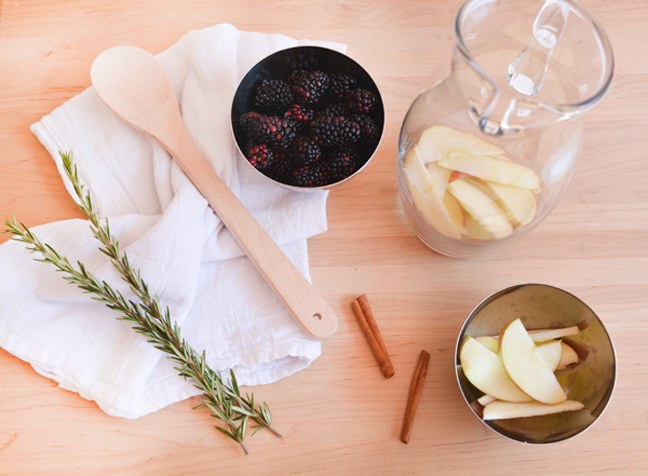 The apple flavor pairs perfectly with fresh blackberries, which bring a tart counterpoint to the sweet apple. Don’t even think about skipping the cinnamon sticks—this is where the magic happens. 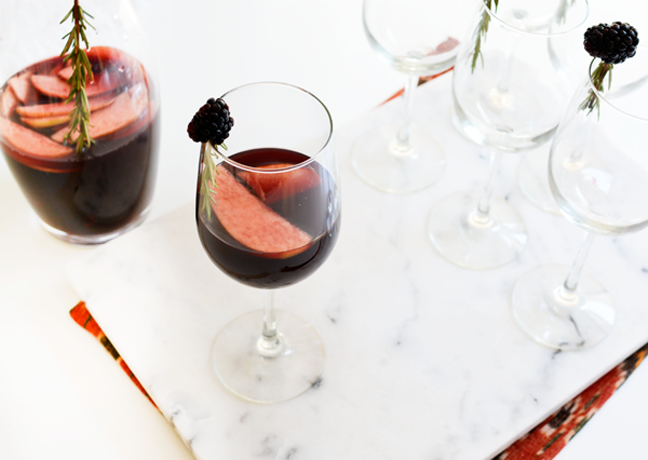 It takes this recipe from run-of-the-mill red wine sangria to your favourite fall sangria recipe of all time. 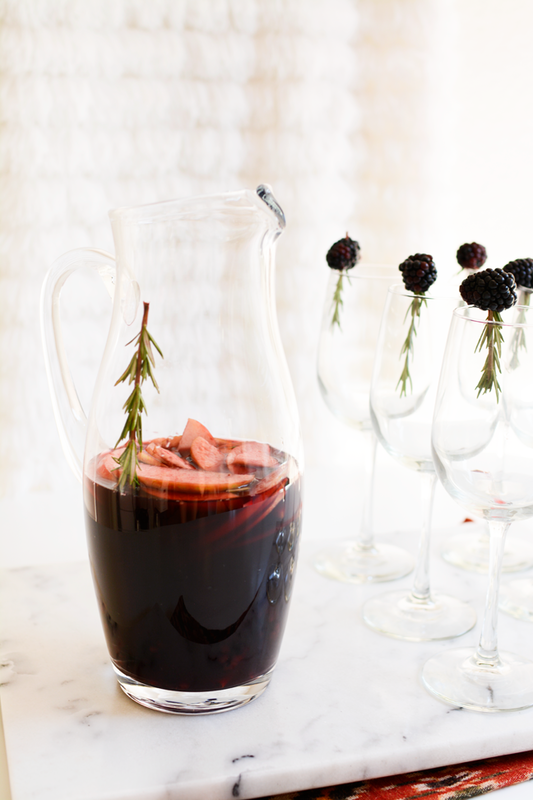 Sangria is the perfect drink to make for a party or having guests over because it can, and should, be made ahead of time. 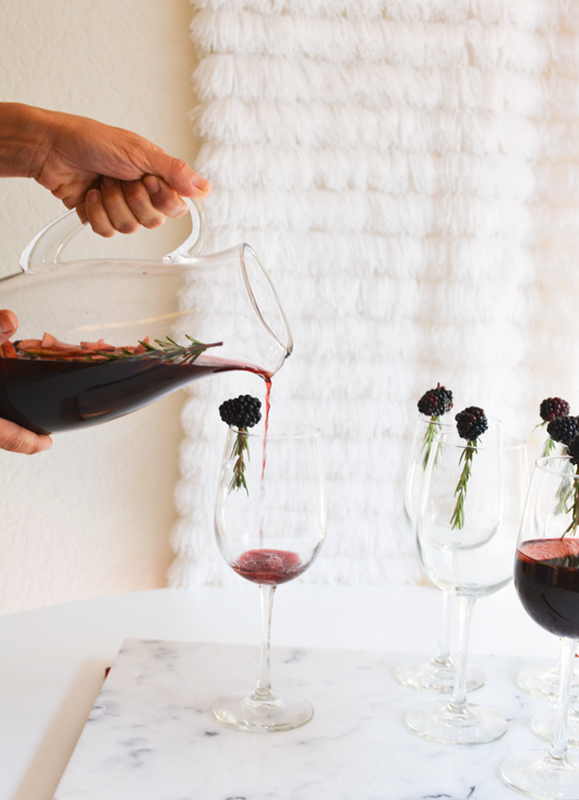 Sangria can also be made in large batches, which means you’ll do the work before your guests get there and be able to enjoy your party. The hardest part of this recipe is slicing the apples. Then, simply add all your fruit to the bottom of a clean glass pitcher. Add the rosemary next. Keeping the sprig whole means it’s easy to remove and you won’t end up with too many herb pieces in your pitcher. You don’t want pieces of the herb in your glass, but you do want the flavor to infuse into the wine. Then add your apple juice. Apple juice is a great substitute for brandy when you are trying to keep costs down or don’t want people to end up with lampshades on their heads by the end of the party. Pour in your bottle of wine. I used a Cabernet Sauvignon as it’s my favourite type of red, but just about anything will work. 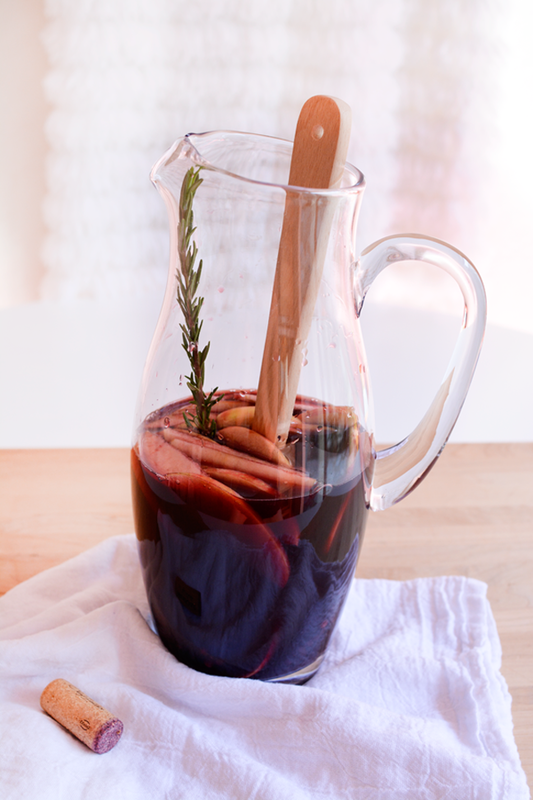 Using your wooden spoon, mix the sangria and gently muddle the fruit in the bottom of the pitcher. Place in the refrigerator for at least a few hours, but it’s even better if left overnight. I usually prefer white wine over red, but when I tasted this it stopped me in my tracks. It was AMAZING! 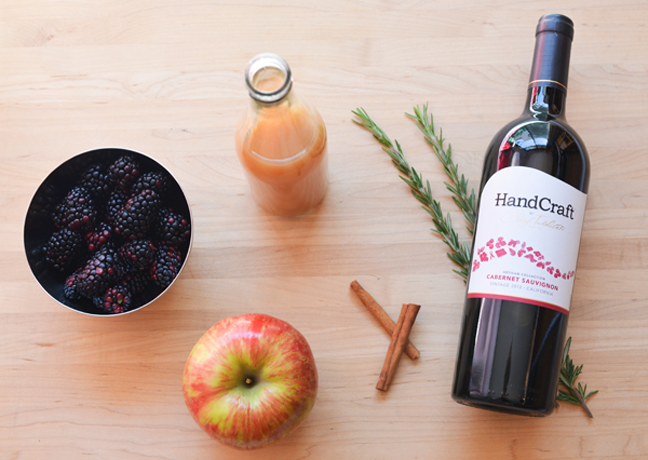 The apple juice brings a wonderful sweetness to the sangria and really brings the feeling of fall. And the cinnamon! To me, the cinnamon is the star of the show. It’s subtle but wonderful. 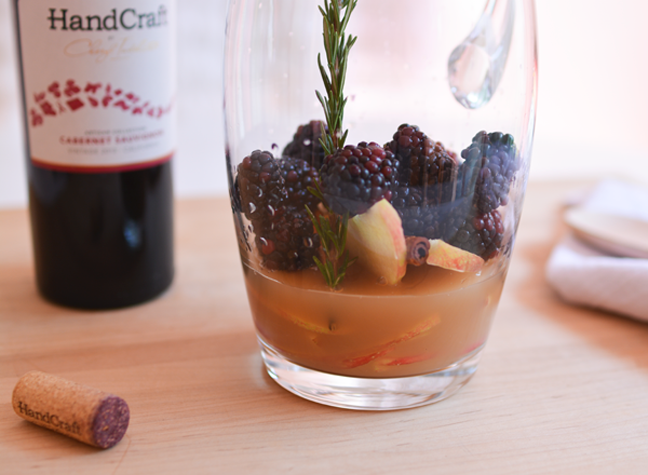 This is my new go-to red wine sangria recipe, and I plan on making this all season long. Be ready to share this recipe with your friends because they’re going to ask for it. 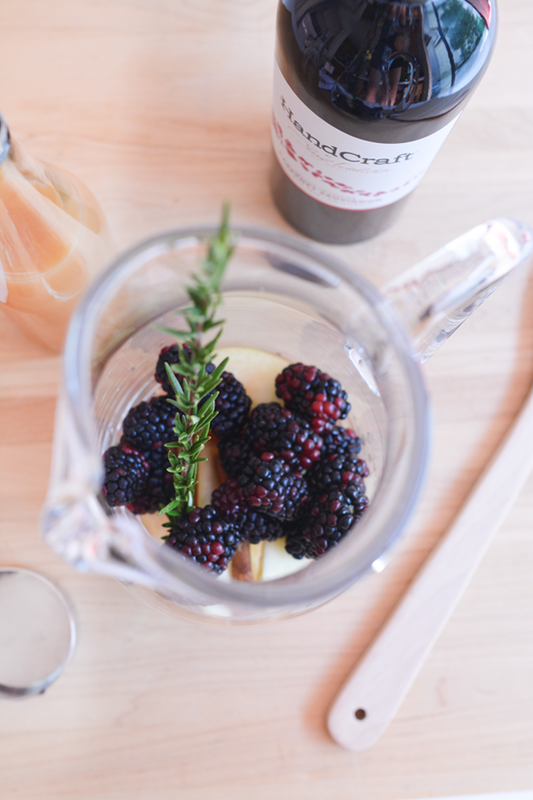 Garnish each glass with a small sprig of rosemary and a blackberry. And you know that the wine-soaked fruit is the best part of sangria, so make sure each glass ends up with a piece or two as well. I kept this in the fridge overnight and it’s as delicious chilled as it is at room temperature, which means it could be the best party drink ever. I can’t wait for you to try this. 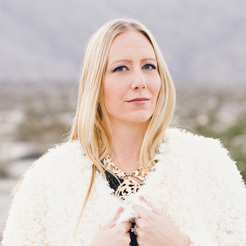 Sharon Garofalow is the blogger behind Cupcakes and Cutlery, a resource for cool gals looking to take care of their families and do it super stylishly. The site features quick and easy recipes, simple DIYs, plus fashion picks and home décor inspiration. Each do-it-yourself idea matches gorgeous design with simple execution (ain’t nobody got time for complicated). Sharon is mum to two energetic grade school boys, and has the most supportive, loving husband ever. She’s addicted to Scandal, the Hallmark channel and Salt and Pepper potato chips.